Bring your love, wear your love and help us celebrate Valentine's Day on the Roo sim. There will be music, dancing and a "wear your love" costume contest. 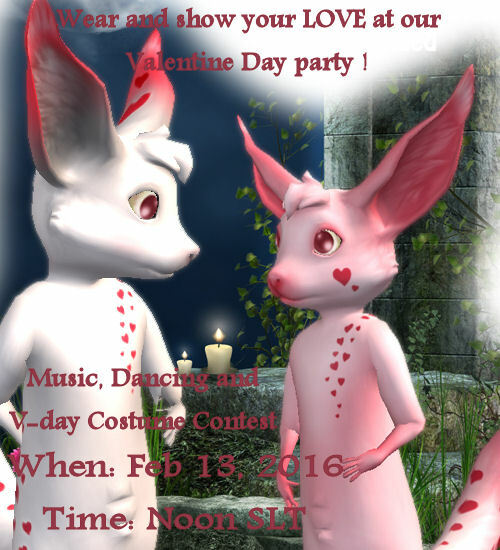 February 13th at NOON SLT till 3 PM SLT. Seasons Greeting and Welcome Winter! 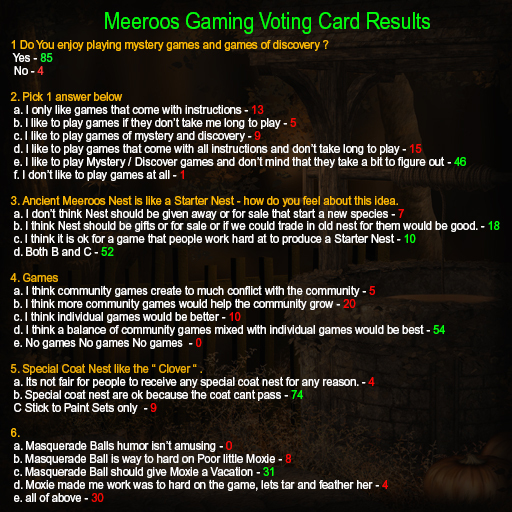 Read more about COMMUNITY GIFT EXCHANGE! HOLIDAY PARTY!! BEST IN UGLY HOLIDAY SWEATER CONTEST! 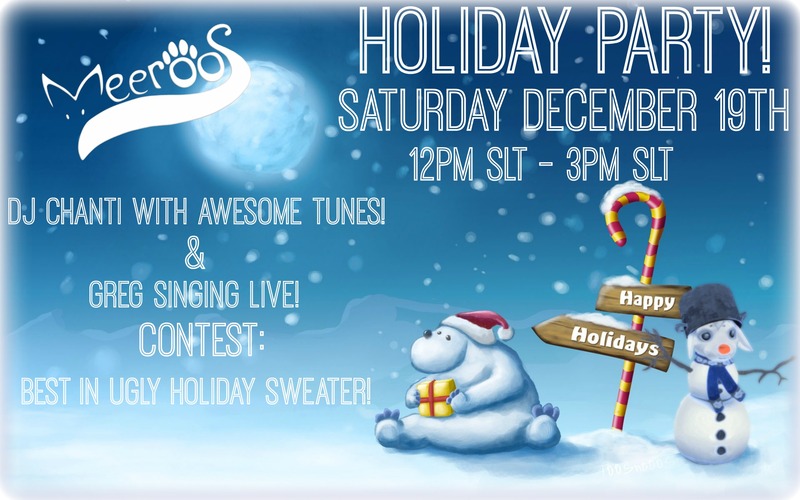 Make sure to save the date for our Holiday Party! Best in Ugly Holiday Sweater Contest! Awesome tunes with DJ Chanti and our very own Greg singing live! Don't forget to check out all the Holiday goodies on Roo sim too! 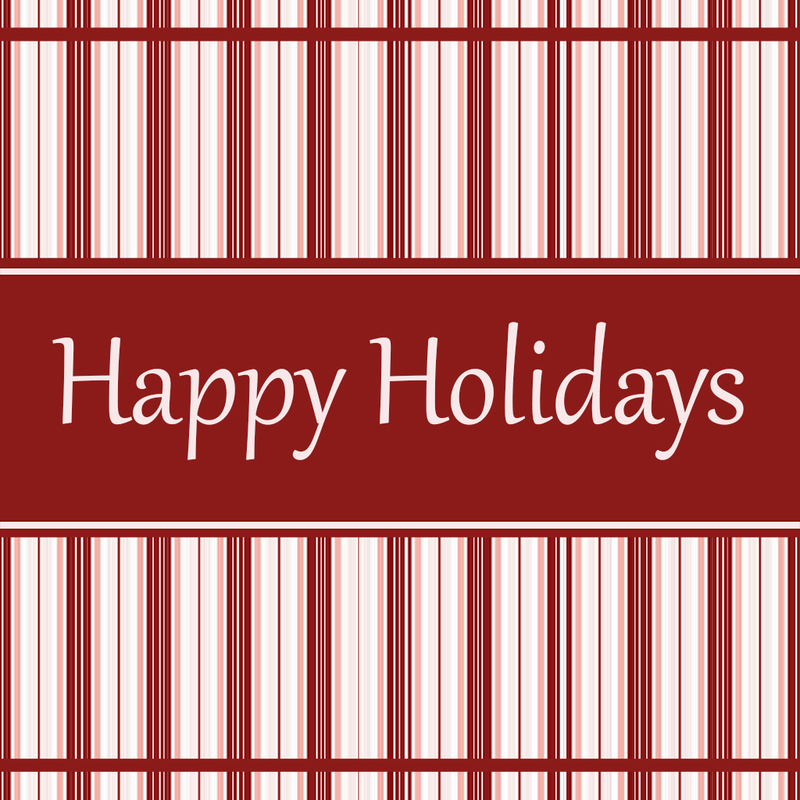 Read more about HOLIDAY PARTY!! BEST IN UGLY HOLIDAY SWEATER CONTEST! SALE ENDS SUNDAY 9AM SLT! Read more about BLACK FRIDAY SALE ON NOW!! AND THE WINNERS ARE !!!!! LET'S GIVE A BIG SHOUT OUT TO THESE WONDERFUL ARTISTS !!! 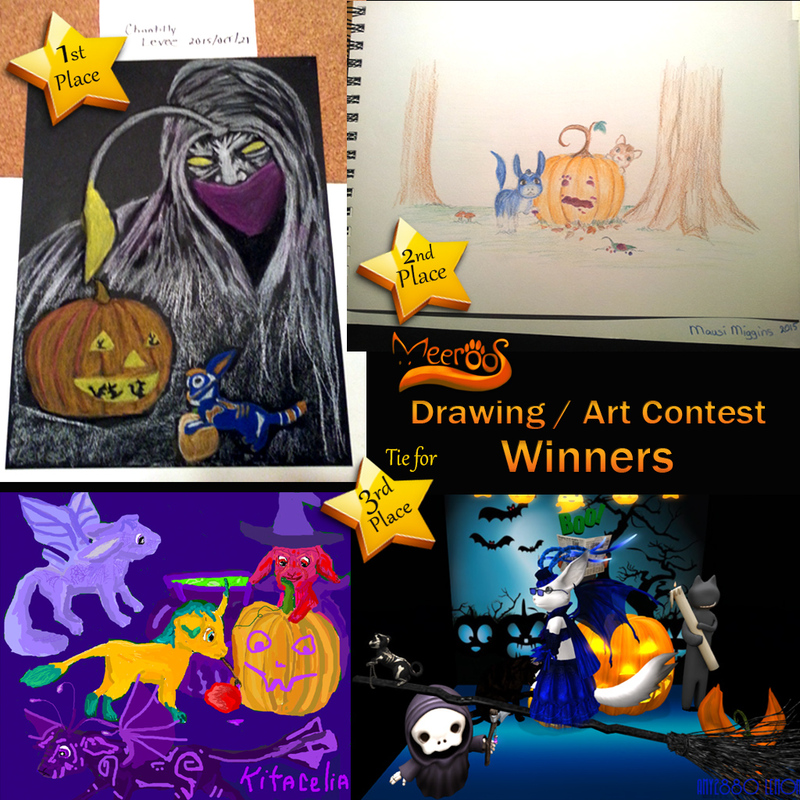 Read more about AND THE WINNERS ARE !!!!! 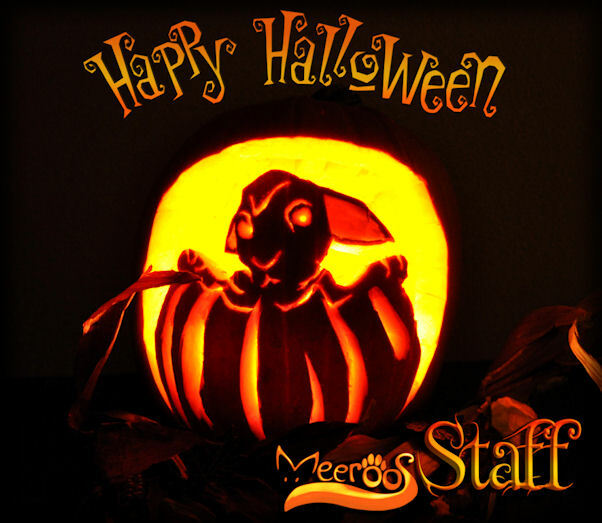 ENJOY HALLOWEEN WITH A 2 DAY SALE. FOOD, BATTERIES, WHISTLES OF RETURN AND MEE PET HONEY DIPPERS. SALE WILL END MONDAY AT 2 AM SLT.